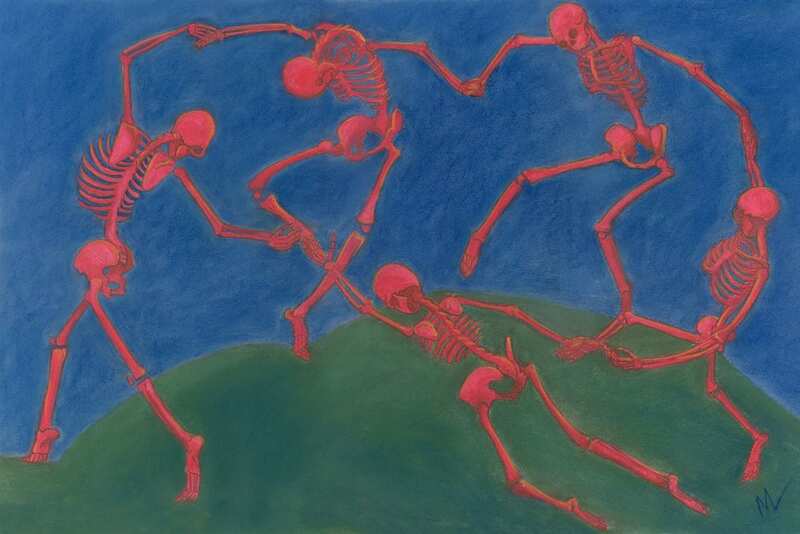 Get 25% Off all iterations of Skelly Dancer No. 8 now through Sunday, November 18, 2018. 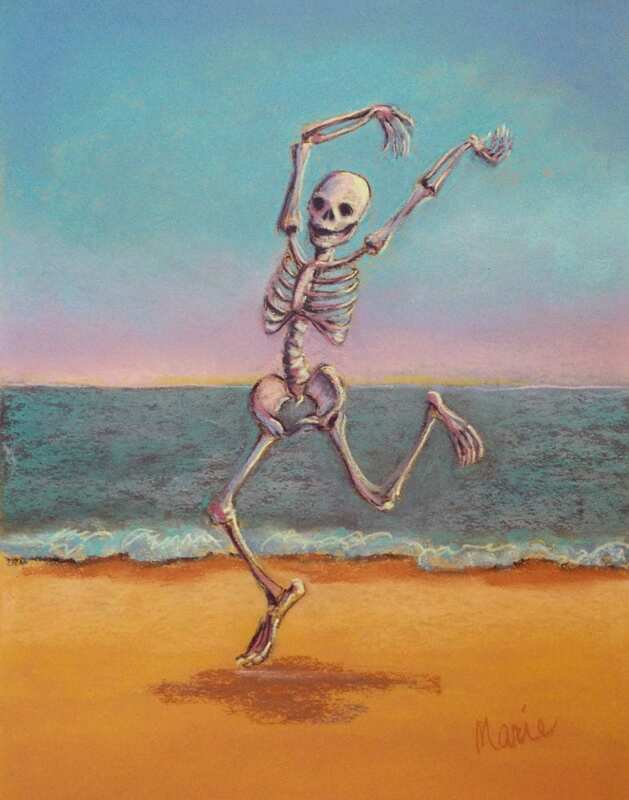 Especially with all this surprising snow, don’t you wish you were dancing on a beach somewhere? 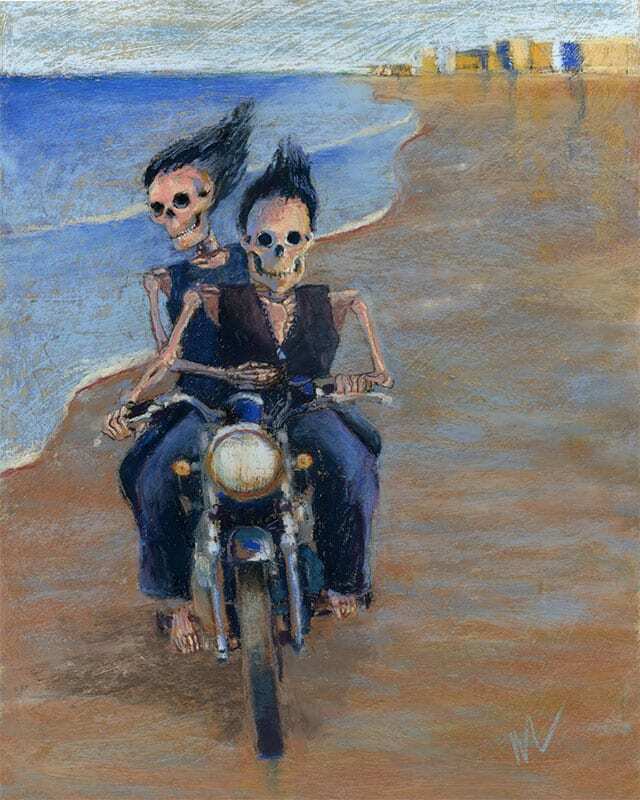 This entry was posted in Pastels, Skeleton, skeletons, skelly, Skelly dancer and tagged beach, dancing, skeleton, Skelly, skelly on sale on November 12, 2018 by Marie Marfia.